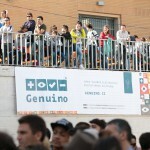 Calling volunteers for Maker Faire Rome! 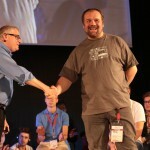 Planning to attend Maker Faire Rome in October? We’re currently seeking volunteers to join our team during the event—staffing tables and displays, helping with demos, and providing technical assistance when necessary. Those who help us for one shift will receive a day pass; spend two days with us, and you’ll have a ticket for the entire weekend to explore the show. Water and snacks will be provided, of course, and we’ve even prepared a small gift to show our appreciation for your time and effort. Cercasi volontari/e per Arduino! 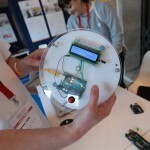 Hai in programma di visitare Maker Faire Roma? 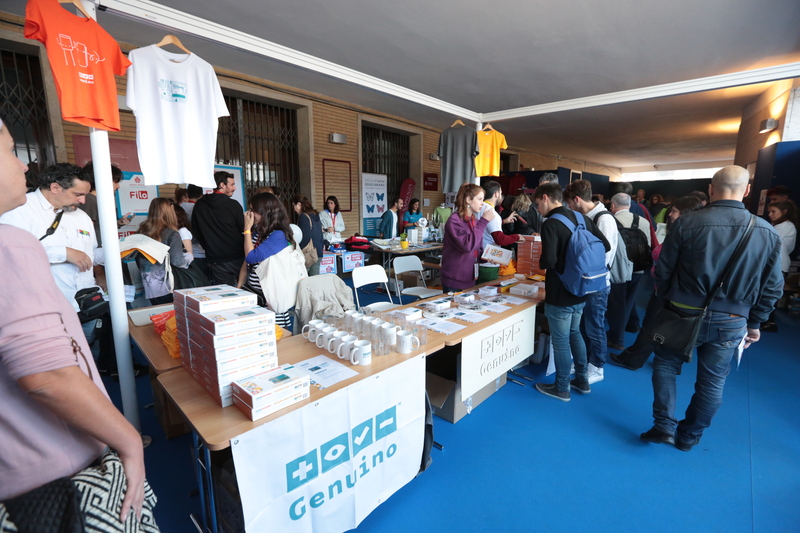 Siamo alla ricerca di volontarie e volontari per lo il nostro booth – che ci aiutino a spiegare i progetti e diano supporto durante le demo. 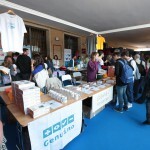 Con un turno di volontariato allo stand Arduino, avrai a disposizione un pass per la giornata; se, invece, sarai al nostro booth per almeno due giorni avrai il pass per l’intero evento. Sappiamo quanto sia importante il tuo tempo e quanto sia fondamentale il tuo aiuto al nostro booth, per questo motivo saremo felici di offrirti il pranzo e una selezione di gadget Arduino. 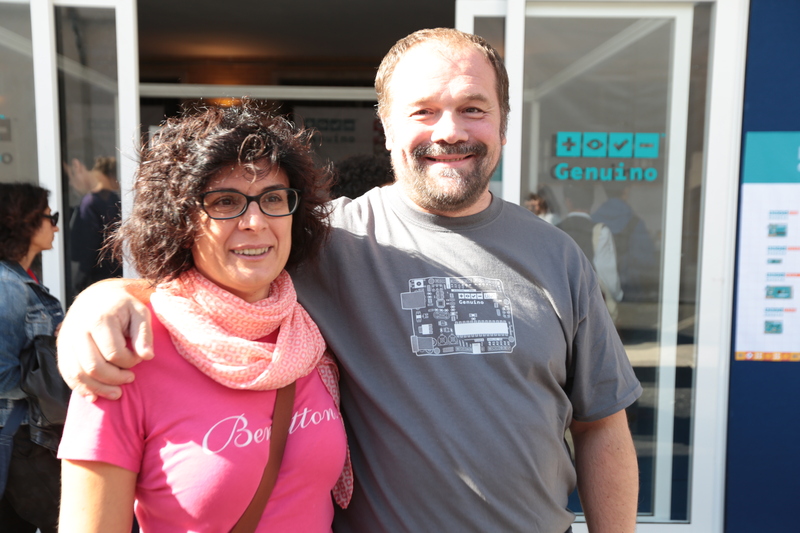 Ti interessa partecipare al booth Arduino? Per favore completa questo form, ti faremo sapere prestissimo! Se hai meno di 18 anni, puoi partecipare ma con il consenso firmato dei tuoi genitori! 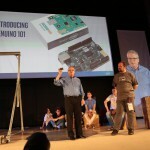 Arduino and Distrelec launch a new automation & robotics contest! 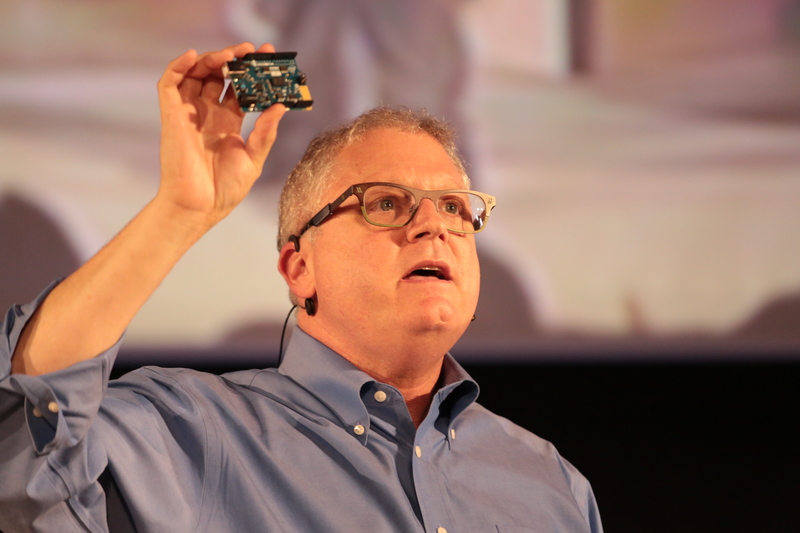 How can you help advance Industry 4.0 using the Arduino ecosystem? 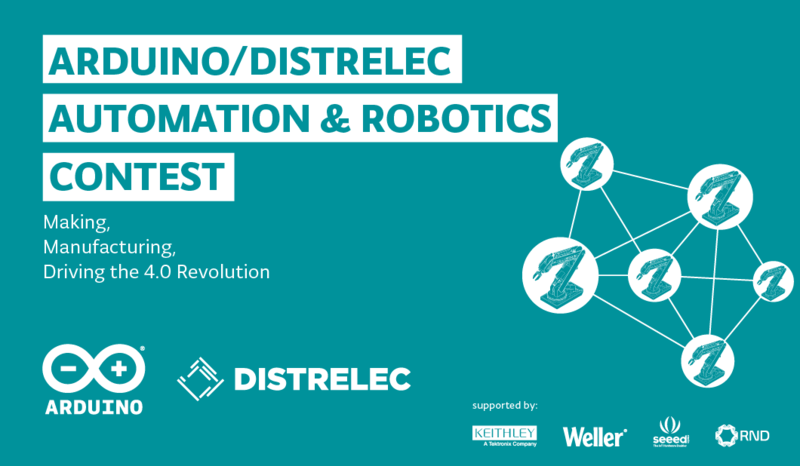 From robots and predictive maintenance to remote control and data acquisition, we’ve teamed up Distrelec to launch a new Automation & Robotics Contest challenging our community to create innovative solutions that can make the industry faster, cheaper, more flexible, and efficient. 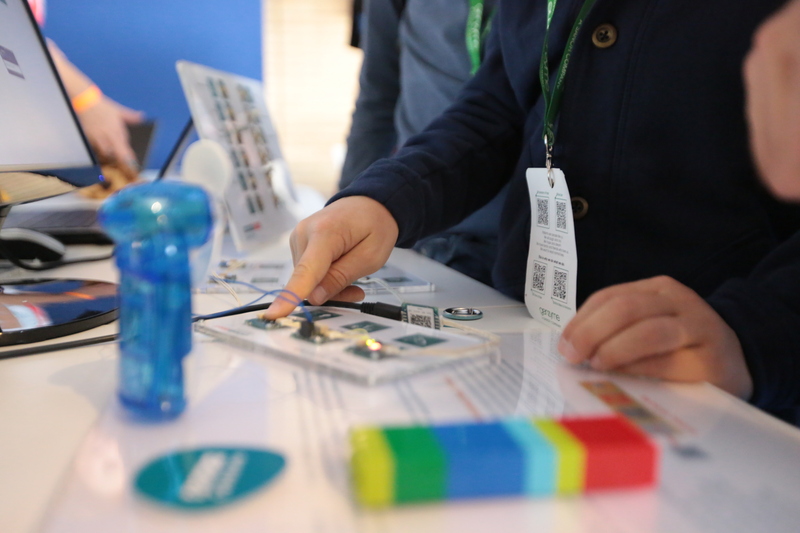 Participants are required to tap into our extensive range of IoT boards like the MKR1000 WiFi and MKR GSM 1400, libraries, and online platform to bring their ideas to life. 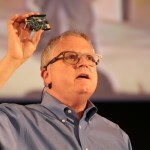 Industrial automation projects could target energy management, remote monitoring, machine safety, or predictive maintenance, for example, using Arduino Create to set up, control, and connect your Arduino, Intel, and Arm-based devices. Robotics projects could include designs for surveillance drones, robotic arms, rovers, or autonomous transportation, leveraging feature-rich boards like the Mega and Due to prototype advanced systems. 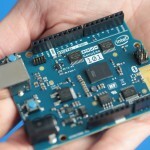 Create a free account on Arduino.cc (or log in if already a member). Send your concept to the Arduino/Distrelec: Automation & Robotics Contest by June 29, 2018. The top 150 makers will receive a coupon for Distrelec online store. Moreover, there will be a series of micro contests, with weekly prizes handed out from Distrelec. Design, build, and submit your project by September 16, 2018. Winning projects will be selected based on their originality, quality, creativity, and social impact. Ready to get started? 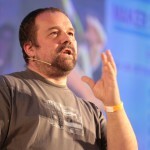 You can find more information on the contest here and browse Distrelec’s entire Arduino lineup on their website. 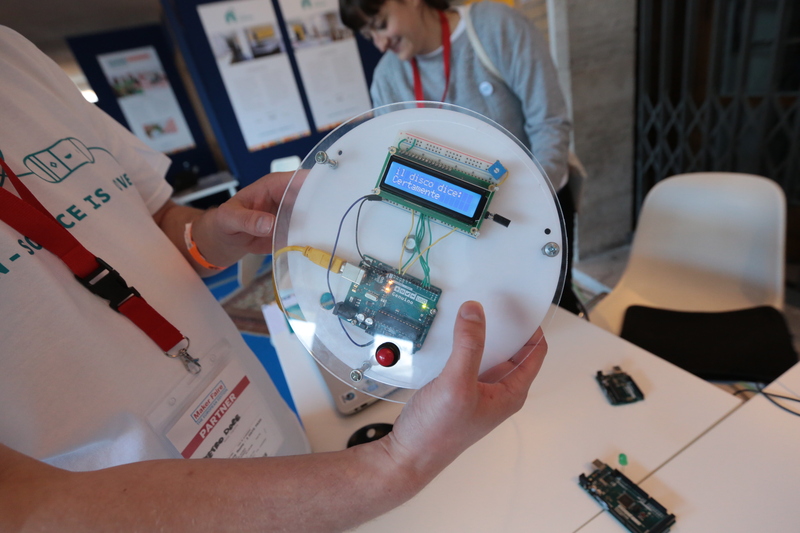 To submit your ideas, please visit the Arduino Project Hub. 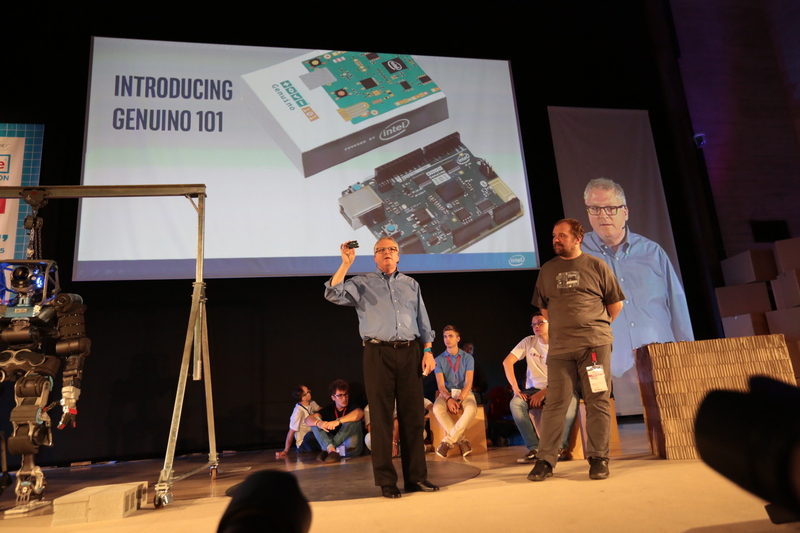 And remember, projects must use an Arduino board in order to be eligible to win! 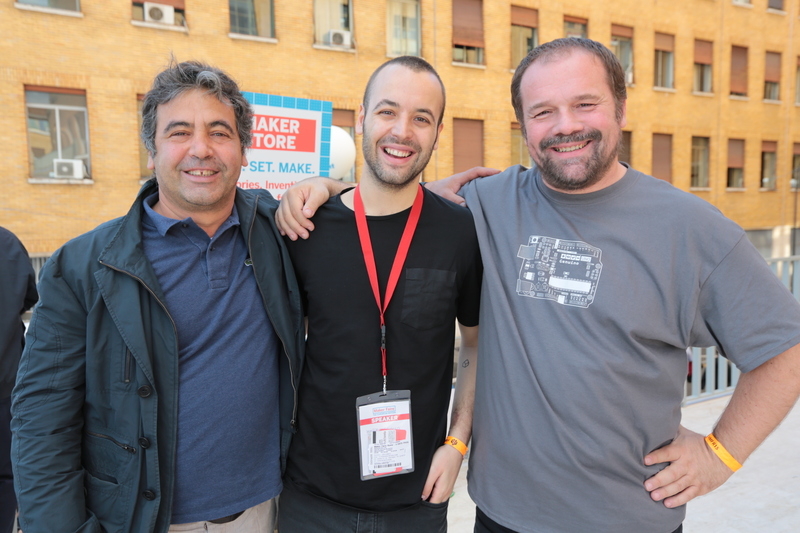 Planning on attending Maker Faire Rome next month? We’re currently seeking volunteers to join our team during the event—staffing tables and displays, leading one-on-one workshops and demos, and providing technical assistance when necessary. If you volunteer with us for one shift, you won’t leave empty-handed! You’ll receive a day pass; spend two days with us, and you’ll have a ticket for the entire weekend to explore the show. 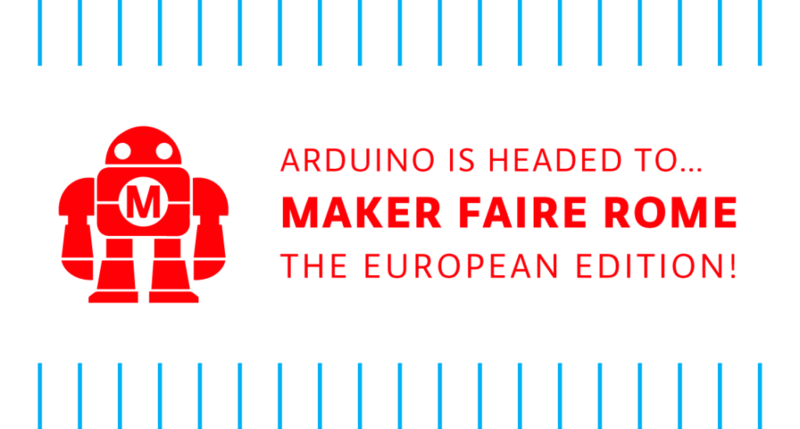 Water and snacks will be provided, of course, along with some Arduino goodies. Interested in helping out at our booth? Please fill out this questionnaire, and we’ll get back to you soon! If you are underage, we will need your parents’ permission. 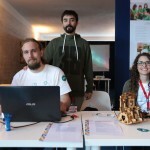 Hai in programma di partecipare a Maker Faire Roma? 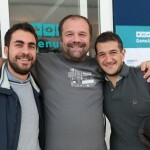 Entra a far parte del team di volontar* all’Arduino booth! 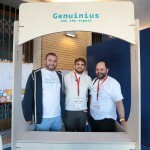 Stiamo cercando appassionat* di Arduino che ci aiutino durante l’evento dando il benvenuto ai visitatori e fornendo assistenza tecnica e supporto durante le demo. 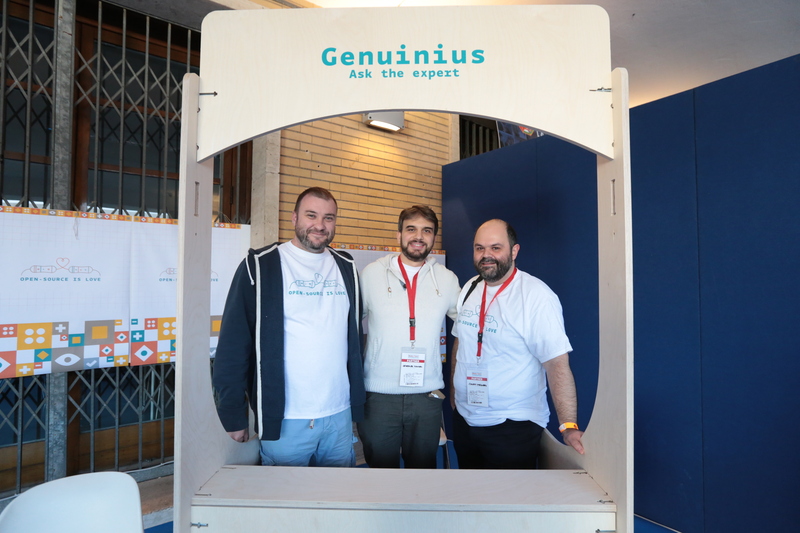 Con un turno di volontariato allo stand Arduino, avrai a disposizione un pass per l’intera giornata; se, invece, sarai al nostro booth per almeno due turni avrai il pass per i tre giorni di evento. Sappiamo quanto sia importante il tuo tempo e quanto sia fondamentale il tuo aiuto al nostro booth, per questo motivo saremo felici di offrirti il pranzo e una selezione di gadget Arduino. 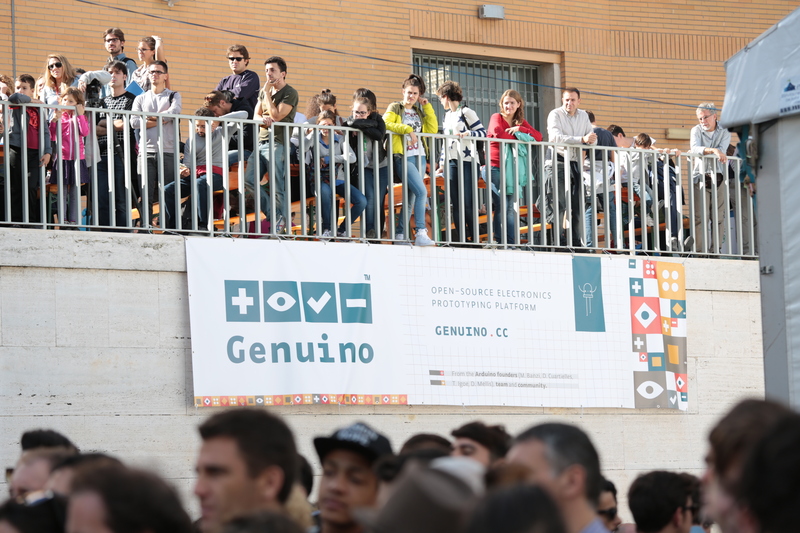 Ti interessa diventare un* volontari* al booth Arduino? Per favore completa questo form, ti faremo sapere prestissimo! If you love chess, but aren’t thrilled about playing it on an app, the InfiVention team has just the board for you. The origin of the game chess is a fascinating and somewhat unknown tale, stretching continents and many hundreds of years. 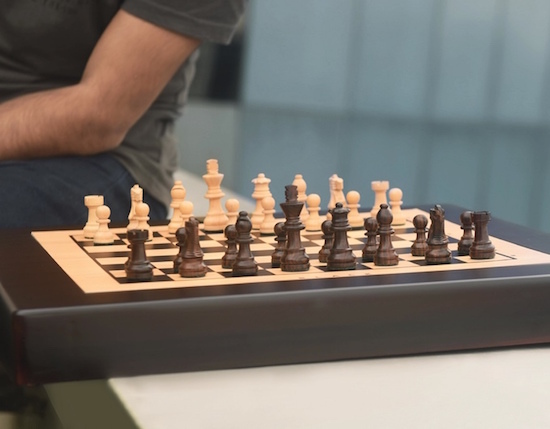 In the last 25 or so years, however, it has gone from a game played on a beautiful board with finely crafted pieces, to something played on a computer or smartphone. Perhaps this is a good thing, since finding competition is as easy as signing into the correct game. On the other hand, this type of play looses a lot of charm, and you can’t exactly pass the app on your beat up smartphone to your kids one day. Attempting to fill in the gap is the amazing automated board called “Square Off.” With an Arduino Mega 2560 at its core, it automatically moves the pieces, and detects where you move, allowing you to play in the real world with someone remotely–even if he or she is merely using a tablet! Square Off is all set to redefine the world of board games, starting with chess. 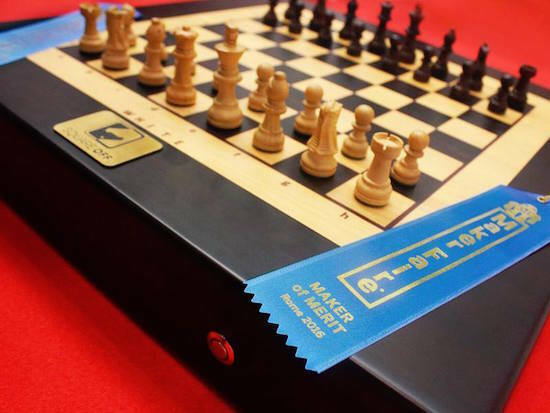 Bringing to you the world’s smartest, most connected and the most evolved chess board. It enables you to play your favorite game against a fellow chess enthusiast from anywhere in the world. The automated board is designed to reflect the move of your opponent with precision. Not just that, you can challenge the artificial intelligence of the board, too. Intrigued? You can learn more about Square Off on its nearly-funded (as of this writing) Kickstarter page, as well as on the Arduino Project Hub! 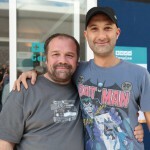 Planning on attending Maker Faire Rome this month? We’re currently looking for volunteers to join our team during the event—staffing tables and displays, helping lead one-on-one workshops and demos, and providing technical assistance when necessary. If you volunteer with us for one shift, you won’t leave empty-handed! You’ll receive a day pass; two days, and you’ll have a ticket for the entire weekend to explore the show. Water and snacks will be provided, of course, along with t-shirt. We’ve also prepared a small gift to show our appreciation when your work is done! Interested in volunteering at our booth? Please fill out this questionnaire, and we’ll get back to you soon! 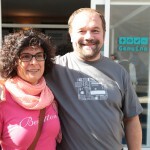 Entra a far parte del team di volontari/e all’Arduino booth presso la Maker Faire di Roma! 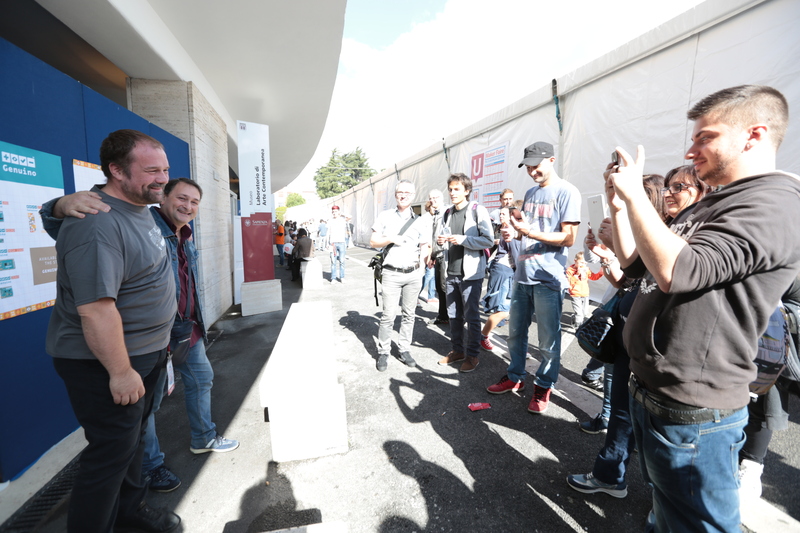 Stiamo cercando persone appassionate di Arduino che ci aiutino durante l’evento, nello specifico fornendo informazioni ai visitatori, dando supporto e assistenza tecnica durante le demo. 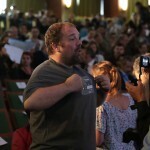 Se farai il volontario o la volontaria per un turno, avrai a disposizione un pass per l’intera giornata, se invece farai turni per più di un giorno avrai il pass per l’interno evento. 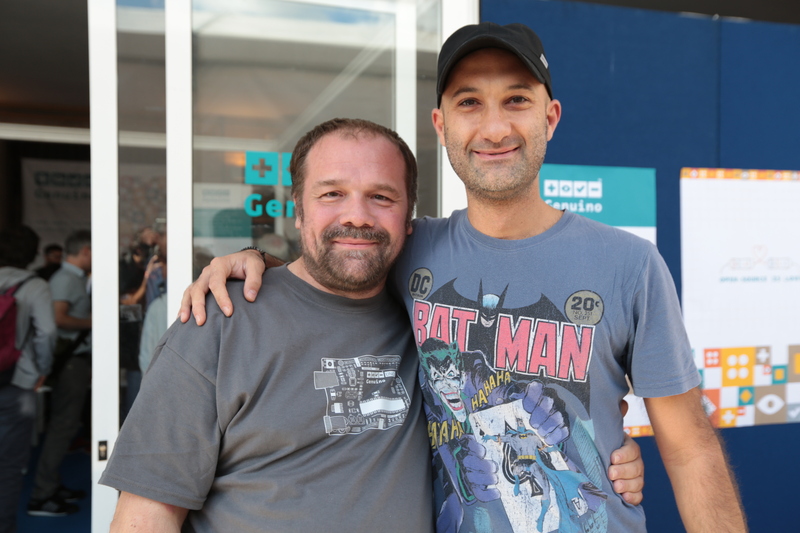 Sappiamo quanto sia importante il tuo tempo e quanto sia fondamentale il tuo aiuto al nostro booth, per questo motivo siamo felici di offrirti il pranzo, una maglietta e, come segno di riconoscimento, un piccolo regalo alla fine del tuo turno. Ti interessa aiutarci al booth come volontario/a? Per favore completa questo form, ti faremo sapere prestissimo. 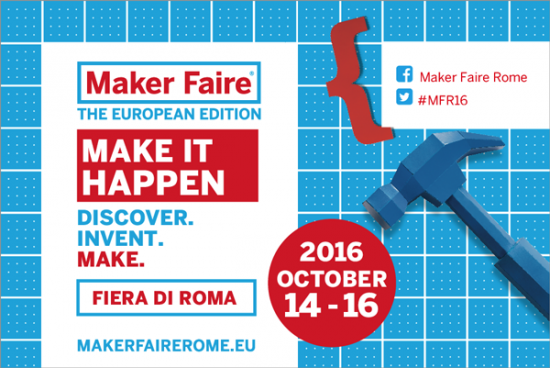 Maker Faire Rome Call for Makers: Deadline June 30, 2016! 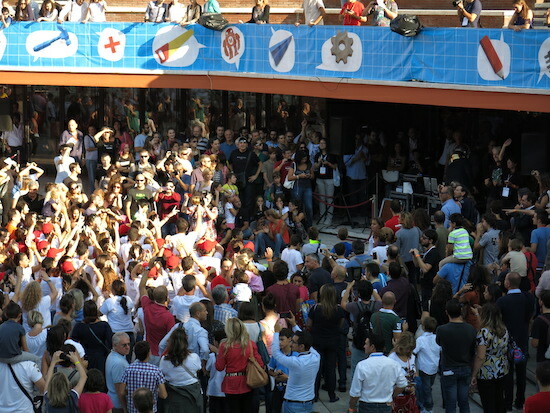 A big thanks to everyone who already submitted their projects, performances, and workshops for Maker Faire Rome. However, due to such an incredible demand, the Call for Makers submission deadline has been extended to Thursday, June 30th. That means you have one more week to send your applications to participate in the 4th edition of Europe’s biggest innovation event, held October 14-16,2016 at Fiera di Roma. 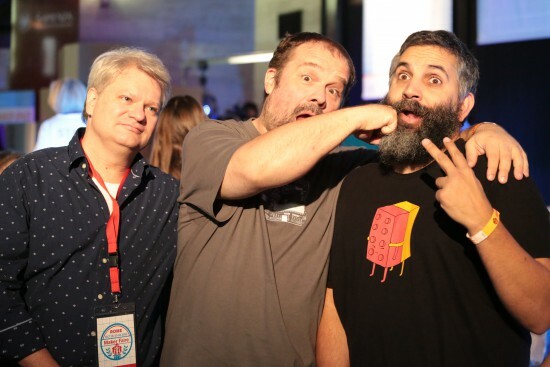 Want to join us in celebrating Maker culture this fall? With more than 100,000 square meters of exhibition space available, the time to submit your project is now! All the projects selected within the Call for Makers are automatically eligible for the following prizes and contests if they match the requirements specified in each regulation. R.O.M.E. 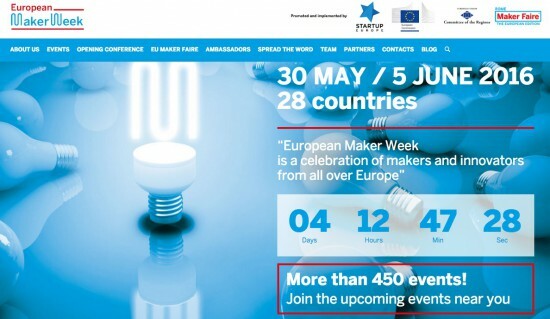 Prize – Rome Outstanding Maker of Europe – 100,000 euro! 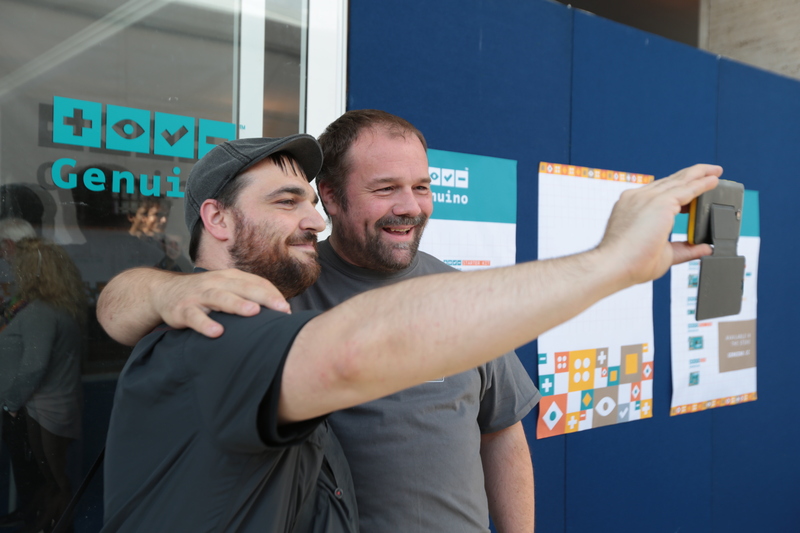 Arduino co-founder Massimo Banzi and Maker Media’s Dale Dougherty will be in Brussels next week to help kick off European Maker Week at the Opening Conference. 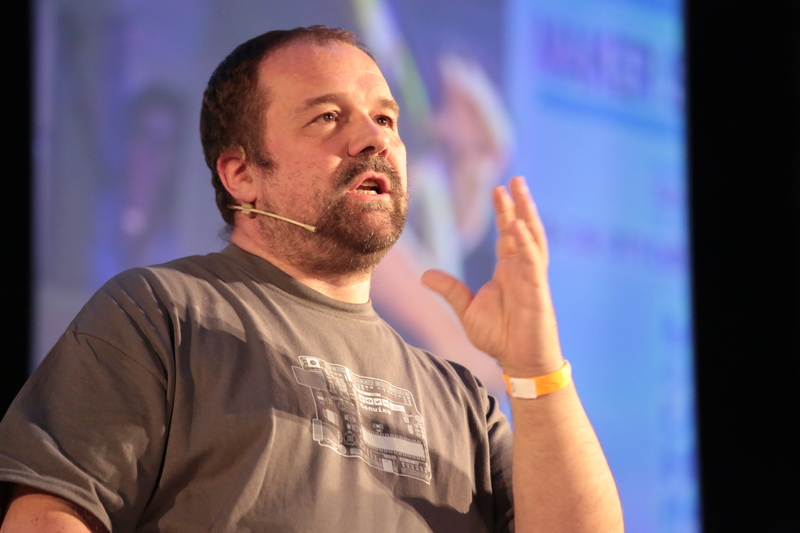 During their keynote, they will address European citizens in hopes of inspiring Makers to build projects throughout the weeklong celebration taking place all over the continent. 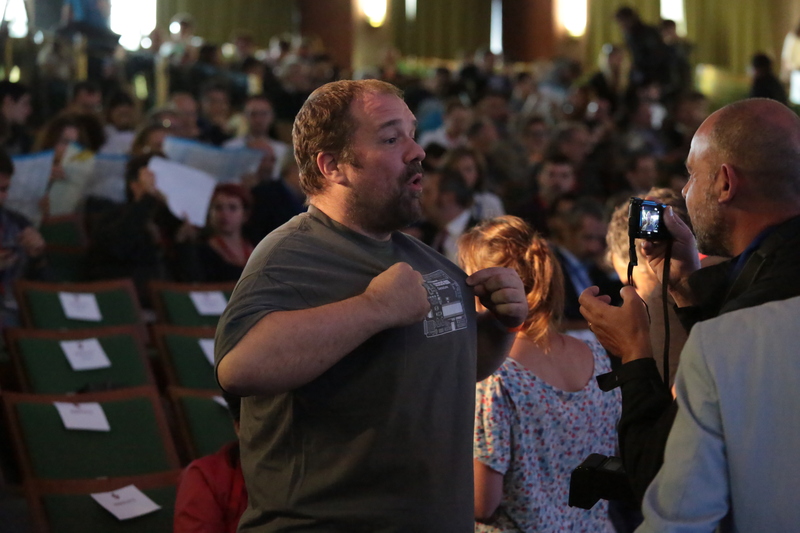 Those wishing to learn more can do so by checking out the agenda and booking their free ticket for Monday, May 30th at the European Committee of the Regions. 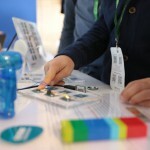 European Maker Week is the first initiative promoted by European Commission and implemented by Maker Faire Rome, in collaboration with Startup Europe, to raise awareness around the significance of the Maker culture and its ecosystem, as well as foster creativity and innovation in schools. 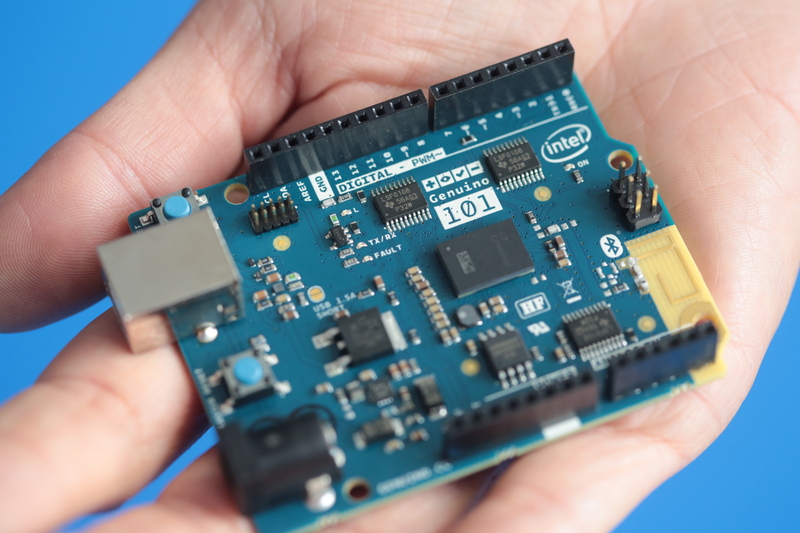 Europe is not only home to the highest number of fab labs, Makerspaces, and hackerspaces in the world, it’s also the birthplace of disruptive projects like Arduino, Raspberry Pi, micro:bit, and RepRap. 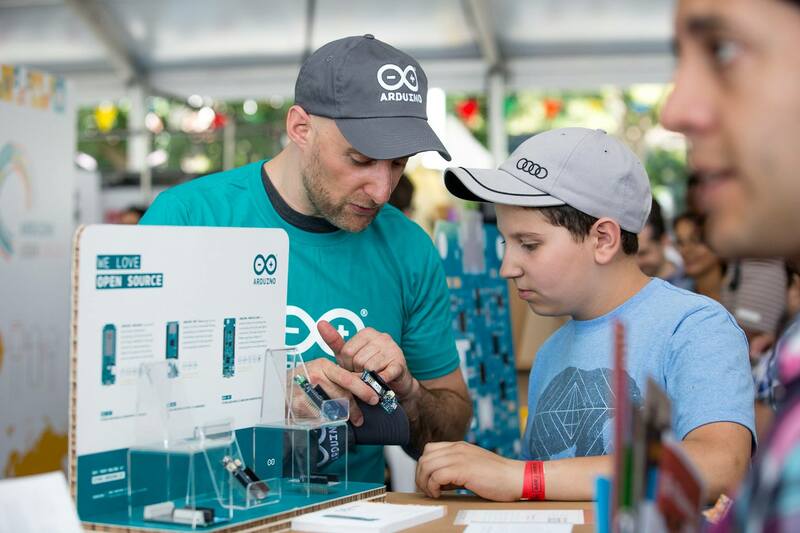 Every year, there are over 50 Maker Faires, Mini Maker Faires, and the flagship Maker Faire Rome, which drew attention from 100,000-plus visitors in 2015. Last June Arduino partnered with Seeedstudio to manufacture Genuino boards for the chinese market and during Maker Faire Rome Massimo Banzi took part to an interesting panel to promote 4 chinese delegates from business, education, design and research domains presenting their work and discussing what does it mean to be a maker in China. 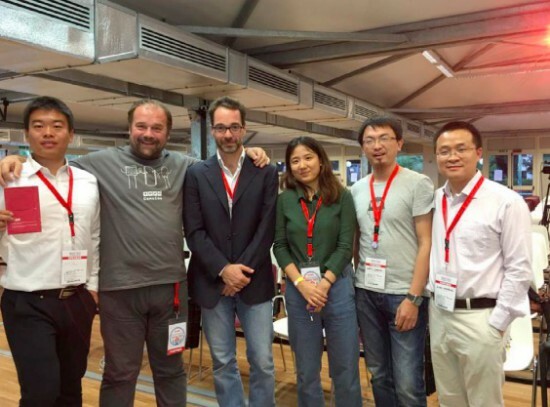 (in the pic from left to right, Lin, Massimo, Alessio, Jin, Chenille & Flamingo). 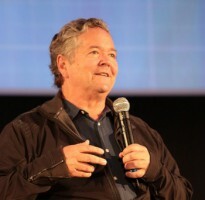 The panel titled Making beyond the Wall and moderated by Alessio Jacona tried to address the growing maker movement in China which is not so visible to the European community while the hype of manufacture in Shenzhen, the Chinese Silicon Valley, is gaining more and more international media attention. Flamingo was the first presenter of the session. 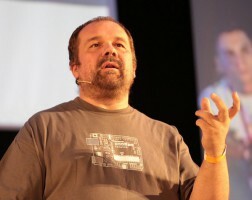 Indeed he was also the first person to use Arduino boards in China back in 2007. As an evangelist, he taught physical interactions in China Central Academy of Fine Arts and even started the digital firm K1ND Beijing with Ogilvy China, which focus on interactive design with open source technologies for business projects. He introduced LightBot (watch video on youku) made in collaboration with Jun Huang, an architect based in China. 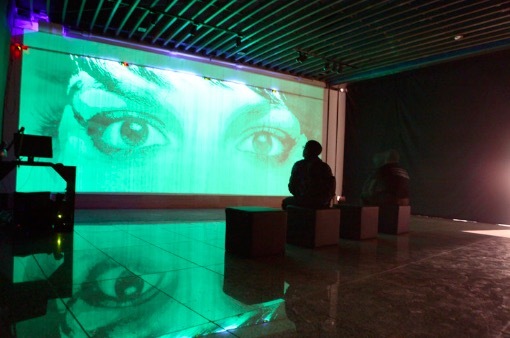 It’s an installation using LEDs as a brush to draw on light-sensitive canvas. The material on the wall glows after being exposed to light, particularly ultraviolet light, and fades away after some time. 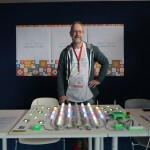 Lightbox is powered by an Arduino controlling 1024 LED lights installed on the pallet and stepper motors to control the movement. Then it was the turn for Jin introducing Minibuilder and Candy Project (we featured her work in our blog earlier) created during her fellowship at Iaac. With her international background, Jin explained how she realized how the culture of making in China is focusing more on hardware startups with strong potential to accelerate thanks to great manufacturing opportunities. 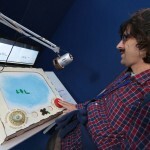 Whereas in the West, people see it more as a hobby or prefer to explore the conceptual development in a lab environment. Nowadays she is implementing a new VR projects in China. Later Lin explained his work as a tutor at the University of Science and Technology in Beijing and also his commitment as a community manager of mechanics and robotics in arduino.cn forum, the community of Arduino fans who also participated to Arduino Day. 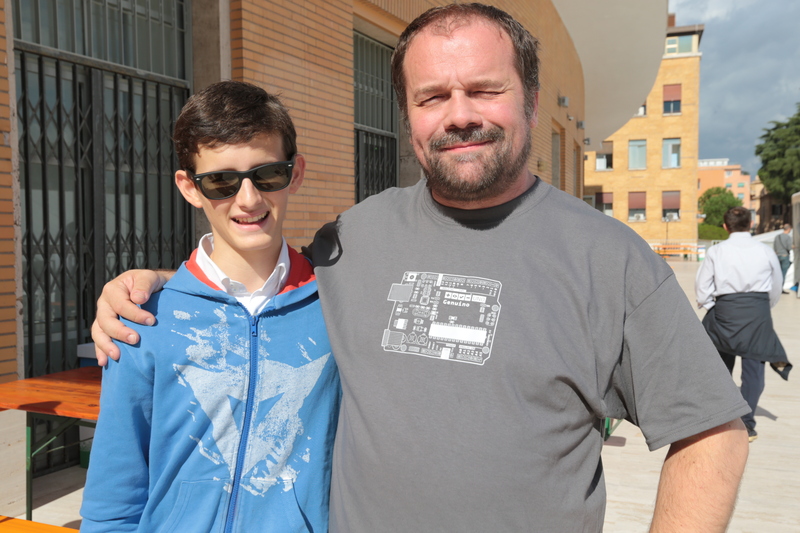 He worked on various projects and applied Arduino in hemiplegia rehabilitation equipment through sensor feedback and in a gearbox to detect malfunctions through vibration, temperature and stress. Last but not least, Chenille talked about how he wrote the first book about Arduino in China and more recently, translated the third edition of Getting started with Arduino book into Chinese. 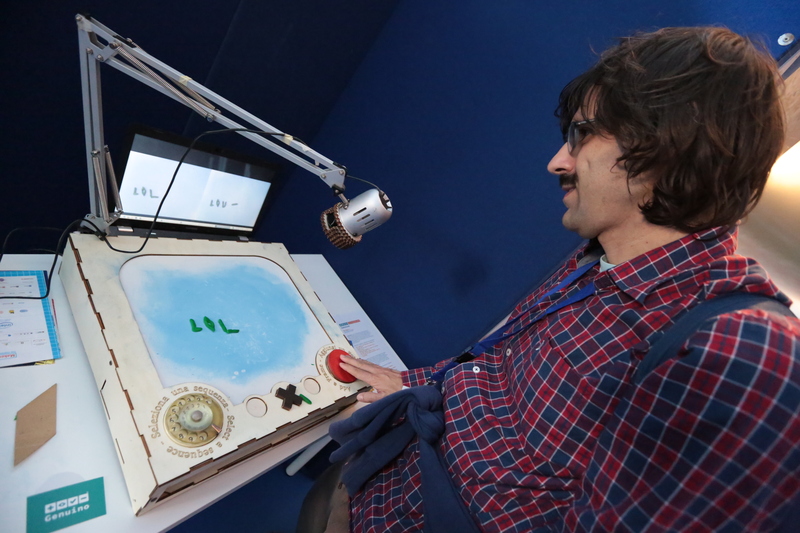 He’s now working on a brainwave-controlled music player. The panel was a good chance to present to an european crowd real experiences from the voice of chinese makers and sharing good practices for future collaborations. 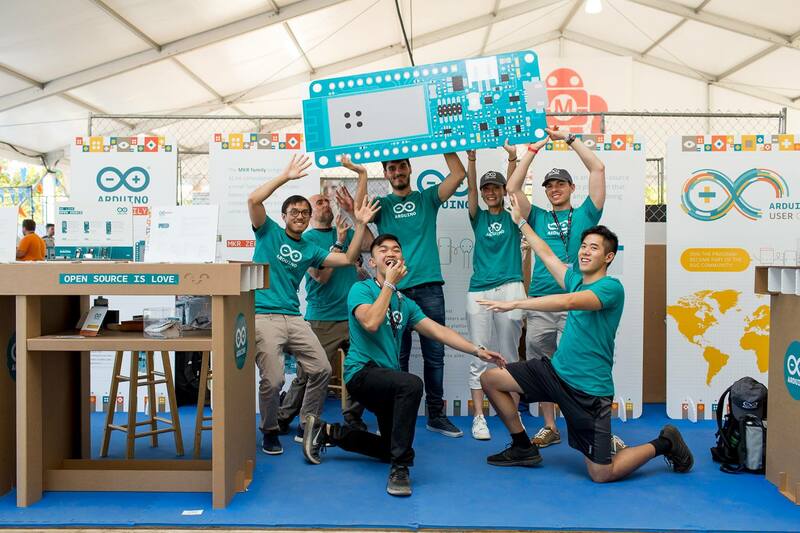 Are you based in China and want to share a project made with an Arduino or Genuino board? Submit it to the blog, we’d like to feature it and tell your story! 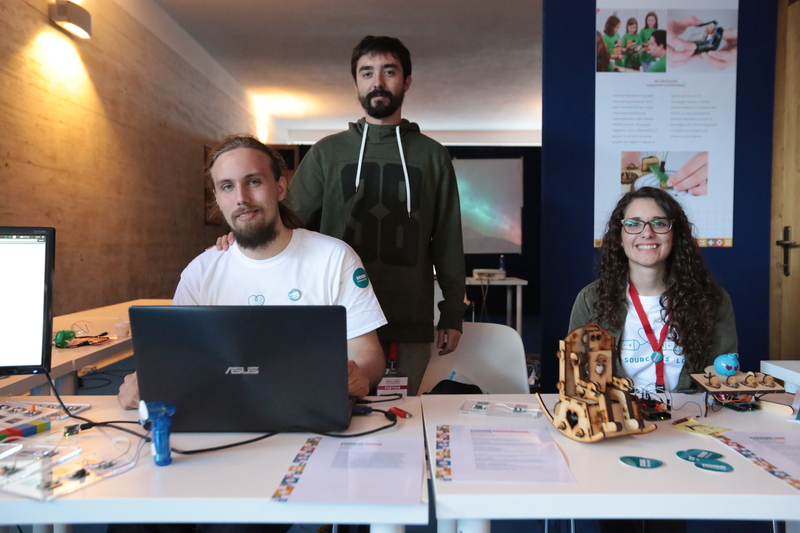 Last weekend we were in Rome to take part to the third edition of Maker Faire Rome. 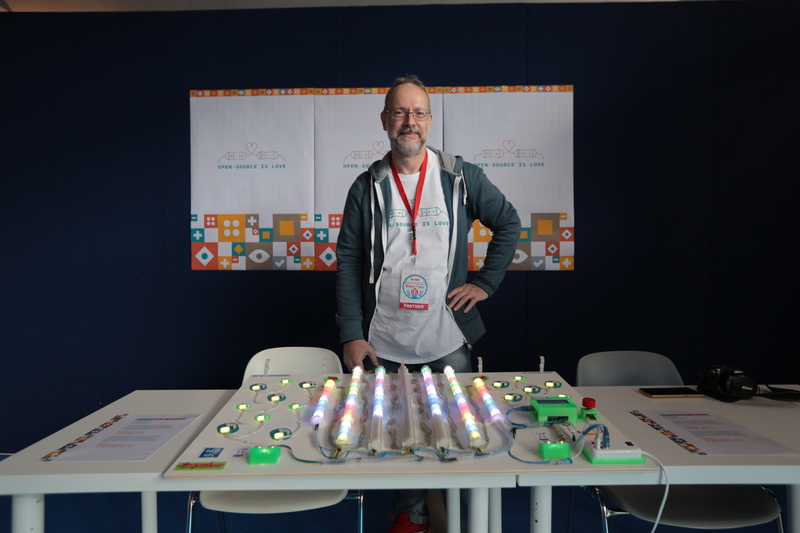 With more than 100.000 participants, the event confirmed itself as the biggest Maker Faire outside of US. 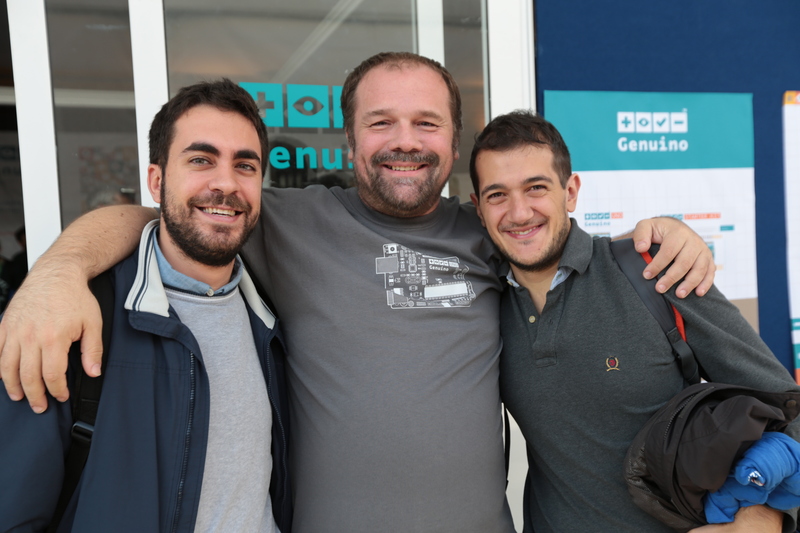 We thank you all for visiting our booth and express your support to Arduino.cc community. 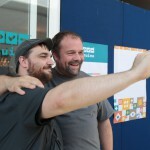 Explore the gallery of all pictures on Arduino account on Flickr. 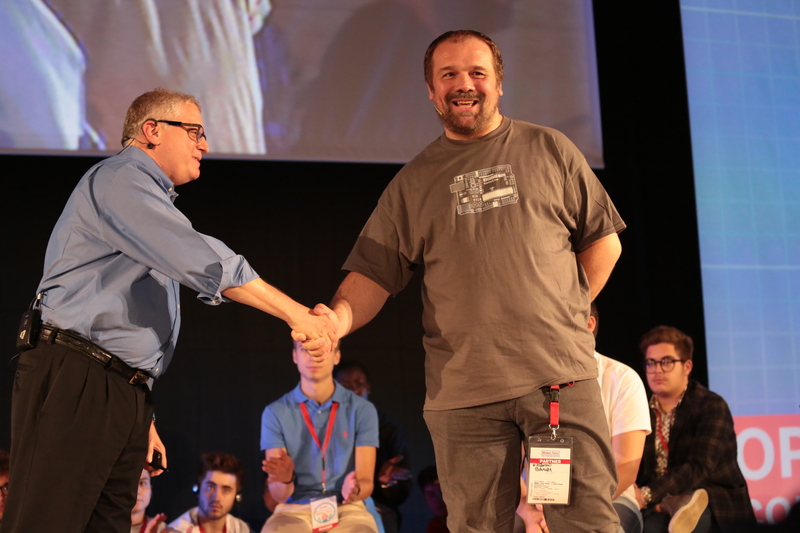 And see you at Maker Faire Rome 2016!